You never know what you’re going to get when you travel in the winter; flight delays and cancellations, missed connections or any number of things making travel stressful, but nothing is better than hearing your name called over the loudspeaker asking you to hurry and board your flight. This was the case at DFW and I believe I walked a little slower just so I could hear the repeated calls for “Mr. Michael Viser please proceed to gate 41 for your London Heathrow flight.” Fast forward 12 days, I’m now in the London Heathrow airport flagging down a Concierge cart to take me to my gate so I don’t miss my flight back to DFW; coming and going I was flying loose and on the edge. 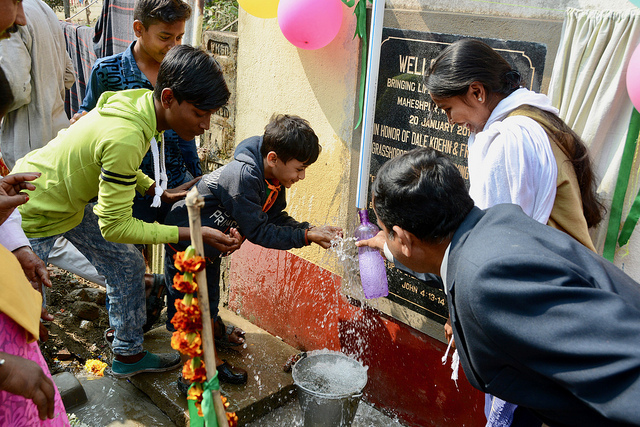 I’ve been active in India for 18 years now and have brought water to over 900 places and this year I’ve experienced something that I’ve never experienced before and that was the way I was thanked. In the 1st instance, the dedication was over and people were returning to the inside of their church when this little girl, who was probably 5 turned and ran towards me. When she reached me she wrapped her arms around my legs, looked up, smiled really big, and in her native tongue said “Thank You.” I stood there in disbelief, looked around to see if anyone had captured this moment on camera, and saw no one paying attention. I realized this was just a special moment for me, a gift from above letting me know that my work is not in vain but always under His watchful eye. The 2nd instance happened in another village. 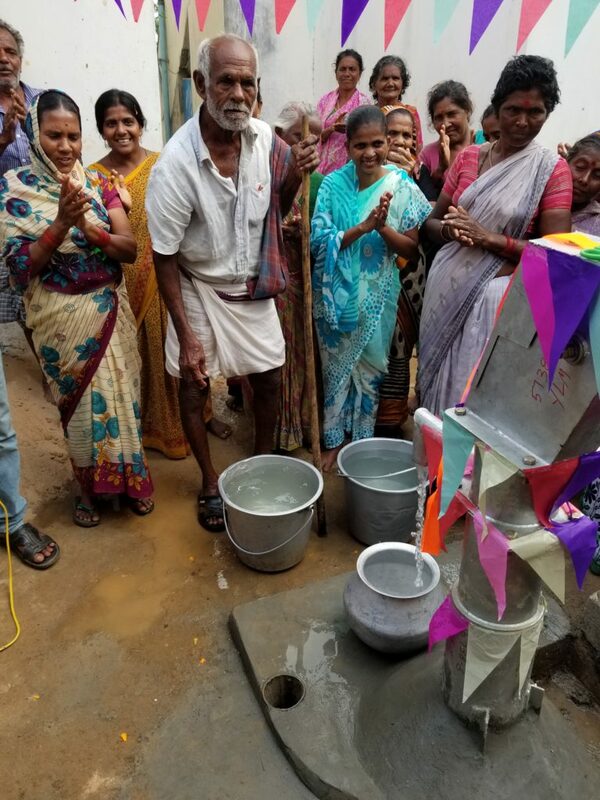 There were probably 50 people gathered around the handpump, all excited for us to open the project, and after sharing about the donor and their gift, I cut the ribbon and pumped till water began to flow. It was great fun and after all the laughter had died down and we began to make our way to the car, one of the women made a bee line for me and with a big smile wrapped her arms around me in a hug I haven’t gotten since, well, I can’t remember when. After what seemed like a long time, she let go and then grabbed my hand. We walked hand in hand to the car which took a few minutes and then once in, I looked around and the road was now lined, on both sides, with women from the village; all to thank us for the gift of water. Not many return to say thanks but when they do; it’s something special. I’m often asked “Does water really matter?” The answer is a resounding “yes,” just try going without it for a day or two and see how you end up. Better yet, go find a bucket and then force yourself to fill that bucket with water for all your needs that day, regardless of whether its drinking, bathing, cooking or washing, and make sure you are using a tap from outside. That’s the reality for millions and millions of people in rural India, but they don’t have the luxury of just walking a few feet outside and turning on a reliable tap; that’s your luxury. Their reality is a much longer walk and possibly a tap which may or may not yield water or if they access a hand pump, it might take a little time of pumping before the water begins to flow. 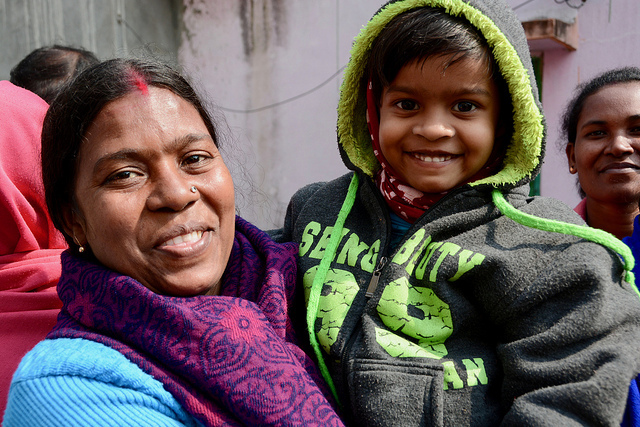 So yes, access to clean water matters, which is why financial support for our work is so necessary. Making an impact doesn’t take more than a gift to a reliable source and that source would be me. 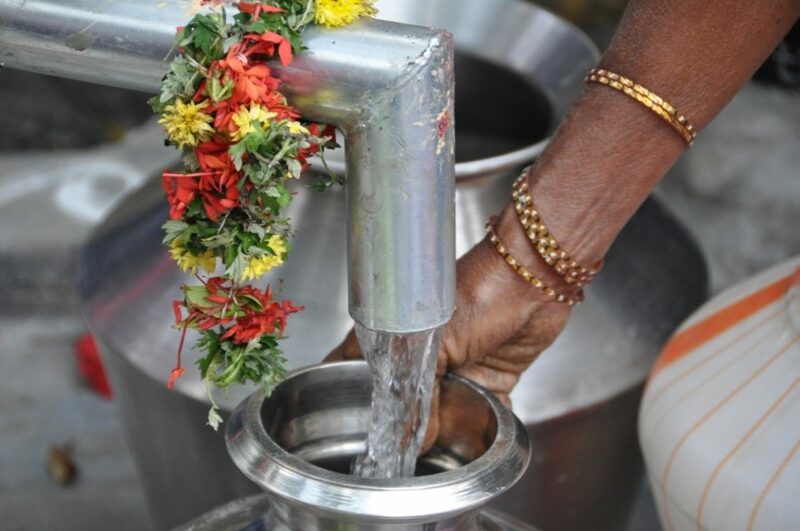 The majority of what you give goes into bringing water to needy places in rural India.